Pursuant to the Dodd-Frank Wall Street Reform and Consumer Protection Act, prior to entering into a swap transaction, Standard Chartered Bank as a Non-US Swap Dealer must provide several disclosures to a US Person who is not a “Swap Dealer”, “Major Swap Participant”, “Security Based Swap Dealer” or “Major Security Based Swap Participant”. (iii) You are entering into or contemplating entry into a transaction with Standard Chartered Bank that constitutes a "swap". This webpage will be updated regularly with various risk disclosures published by ISDA or Standard Chartered Bank. Please bookmark this page and check back frequently for any updates. 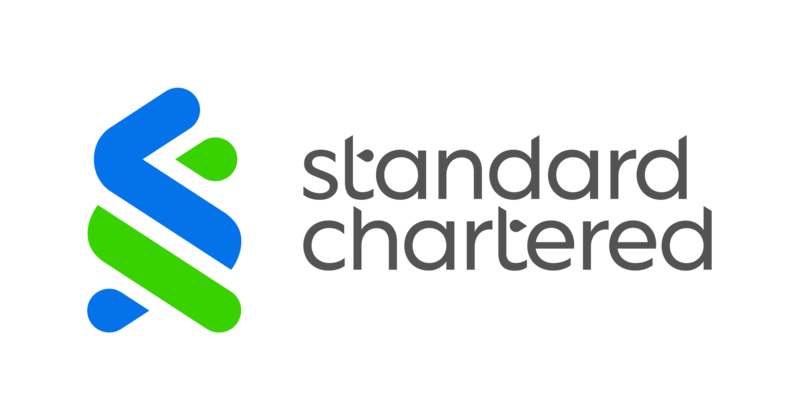 This Disclosure Statement describes the manner in which the terms of any Transaction that Standard Chartered Bank (“we”) may enter into with you will be determined. The term “Transaction” has the meaning set forth in the General Disclosure Statement for Transactions that we have provided to you. Before entering into any Transaction, you should conduct a thorough and independent evaluation of the terms of the Transaction in light of your particular circumstances and the nature and extent of your exposure to, and willingness to incur, risk. You should also consider whether the Transaction is appropriate for you in light of your experience, objectives, financial and operational resources and other relevant circumstances. Unless expressly agreed in writing, we are not providing you with legal, financial, tax, accounting or other advice in connection with any Transaction. Specified prior transaction, form confirmation or terms spreadsheet. If we notify you that the Transaction will have the terms set forth in a specified prior transaction, form confirmation or terms spreadsheet, the Transaction will have such terms, subject to any express agreement between you and us in connection with the Transaction. Master confirmation agreement. If (1) does not apply and you and we are party to a master confirmation agreement that governs the Transaction, the Transaction will have the terms set forth in the master confirmation agreement, subject to any express agreement between you and us in connection with the Transaction. Unspecified prior transaction. If neither (1) nor (2) applies and you and we have previously entered into a transaction of the same type, the Transaction will have the terms set forth in the most recent transaction of the same type that you and we entered into, subject to any express agreement between you and us in connection with the Transaction. Unspecified form confirmation or terms spreadsheet. If none of (1), (2) or (3) applies and the Transaction is of a type that is covered by a form confirmation and/or a terms spreadsheet that is available on this site, then the Transaction will have the terms set forth in the form confirmation and/or terms spreadsheet, as applicable, subject to any express agreement between you and us in connection with the Transaction. In the event of any inconsistency between a form confirmation and a terms spreadsheet that relate to the same type of transaction, the terms set forth in the terms spreadsheet control. a) If you and we enter into a Transaction that is cleared through a clearinghouse or executed through a trading platform that prescribes the terms of the Transaction, the Transaction will have the terms specified by the applicable clearinghouse or trading platform and, subject to the rules of the clearinghouse or trading platform, any additional terms that you and we expressly agree upon in connection with the Transaction. b) If you and we enter into a Transaction for “give-up” to a third party, the terms of the Transaction will be subject to the terms of any agreement with that third party. This web page contains links to forms of confirmations and spreadsheets of material economic terms relating to a variety of types of transactions (“Transactions”) that Standard Chartered Bank (“we”) may enter into with counterparties from time to time. Any confirmation or other documentation we directly provide to you in respect of an actual or potential Transaction will supersede the information on this website and, to the extent inconsistent, such confirmation or other documentation will control. In addition, the agreed upon terms of any Transaction that we enter into with you will be set forth in the confirmation or other agreement that you and we enter into with respect to that Transaction and may differ materially from the terms set forth in the forms and spreadsheets available on or through this web page. By making this web page available, we are not indicating that we are willing to enter into any Transaction with any counterparty on any terms. The external URLs provided above include links to the standard pricing pages for precious metals, as well as information regarding standard market practices for "good delivery." If you believe that a material term of the swap has not been provided to you, please contact your usual Standard Chartered Bank sales representative, who will provide this information to you upon request. Relevant documentation provided by Standard Chartered Bank may incorporate by reference certain other documents and definitions, including those published by ISDA which can be made available upon request. In the event of any conflict between transaction-specific pre-trade information provided to you by Standard Chartered Bank and any template, standard product terms or market convention, or the standardized disclosures provided above, the transaction-specific information will prevail. It is your responsibility to notify your usual Standard Chartered Bank sales contact if you have any additional questions regarding any swap that have not been otherwise addressed by the information and documents that have been provided to you prior to entry into the swap. By entering into a swap, you will be deemed to acknowledge that you have received from Standard Chartered Bank prior to entry into such swap, and in a manner acceptable to you, disclosures, notifications and other information sufficient for you to evaluate: (i) the material risks of the swap, including market, credit, liquidity, foreign currency, legal, operational and other applicable risks, (ii) the material characteristics of the swap, including the material economic terms, operational terms, and the rights and obligations of the parties during the term of the swap, and (iii) the material incentives and conflicts of interest that may apply with respect to the swap. Where applicable or relevant, we may from time to time provide you with additional notifications and disclosures relating to a particular swap or trading strategy, including disclosures regarding the material risks and characteristics of such swap or trading strategy, in addition to the notifications and disclosures provided on this website. The following documents are provided in connection with any (i) pre-trade mid-market marks and (ii) daily post-trade mid-market marks delivered for any swap that Standard Chartered Bank has entered or may enter into with you from time to time. We hereby notify you that prior to entering into a swap with us that is not available for trading on a designated contract market or swap execution facility, you may request and consult with us on the design of a scenario analysis to allow you to assess your potential exposure in connection with swap. If you wish to request a bespoke analysis beyond what is contained in the Standard Chartered Bank’s standard scenario analysis, you should contact our usual sales person who will assist you accordingly. Any such requests will be handled appropriately in accordance with our internal processes consistent with the relevant CFTC rules. The obligation to provide a scenario analysis does not apply to a client that is a Swap Dealer, Major Swap Participant, Security-based Swap Dealer, or Major Security-based Swap Participant.